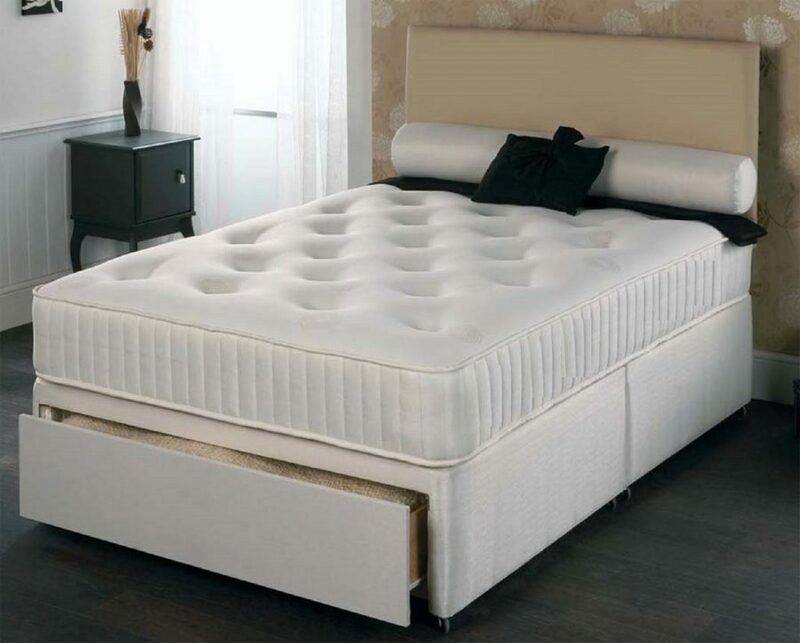 The President mattress benefits from an intelligent combination of 12.5 gauge orthopaedic open coil spring unit and 9mm of memory foam. The President mattress is made for excellent comfort and a perfect night’s sleep especially for those who prefer a luxury feel. It is hand crafted and upholstered using traditional skills complemented by the latest manufacturing developments giving you a mattress which provides the best in comfort, durability and quality to suit your needs and requirements. The memory foam reacts to your body temperature and then moulds to the contours of your body. The memory foam will help to maintain correct posture while in bed and also helps to align your spine correctly while sleeping. Memory foam is hypo-allergenic with anti-microbial properties. Delivery on this item is from £69 and will be added upon checkout. England and wales only, Scotland customers please contact us for a price.